Cancellation can be made at any time through your PROFILE, EVENT HISTORY, click on the TRASH CAN X by the event registration you need to cancel. Please cancel as soon as you can for the benefit of the run leader or restaurant seating. Thank you! When: The group run starts in Kelso, WA on Wednesday, October 9 and ends when we arrive at the event in Monterey on Friday, October 11. Why? 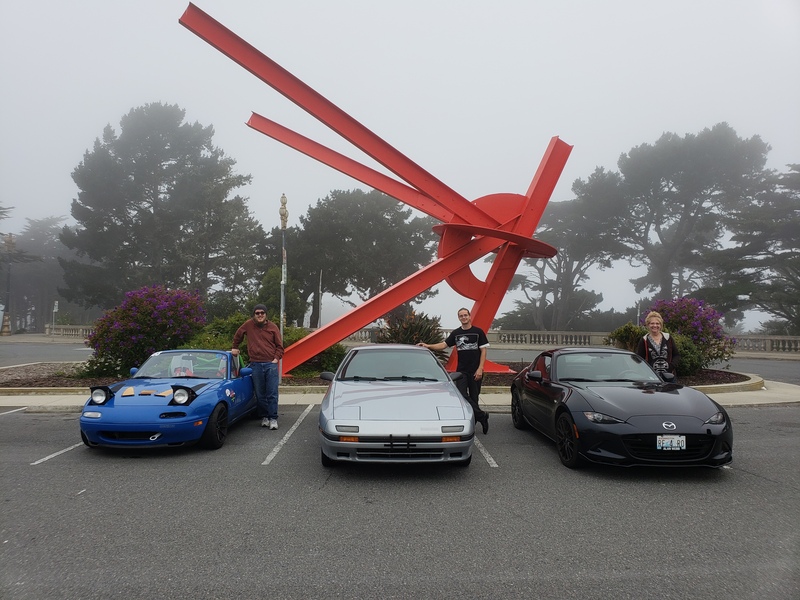 : The Miata turns 30 in 2019! If you thought the 25th anniversary celebration at Laguna Seca in 2014 was a big deal, you're not going to want to miss this one. Furthermore, this might very well be the last year that this event will be held at Laguna Seca. This could be the end of an era. Don't miss out! Father and son members, Alex and John Countouriotis, invite the rest of the club to join them on their annual pilgrimage to Laguna Seca. 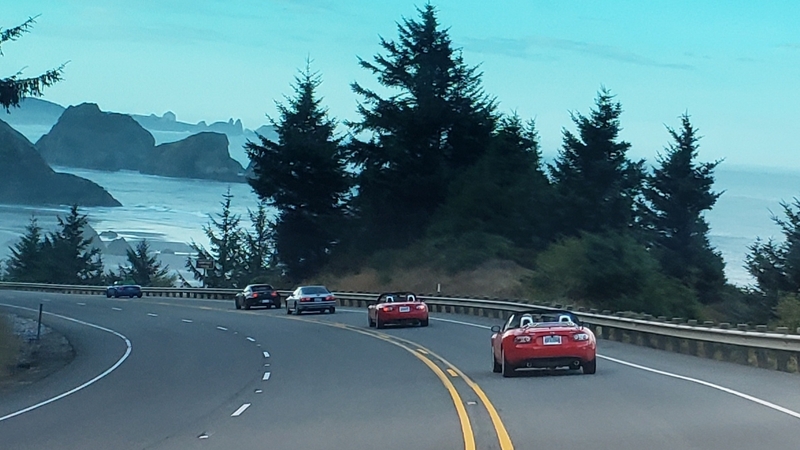 They will lead a pack of Miatas down the Pacific Coast Highway from Astoria all the way to Monterey. They will leave Kelso early Wednesday morning and head straight to Astoria along Highway 30. Then they will hug the coastline for the remainder of the trip. Members can meet Alex and John in Kelso or anywhere along the coastal route. They will spend Wednesday night in the Brookings/Gold Beach area. Thursday night will be spent in Marin County, just North of the Golden Gate Bridge. Friday will be a relatively short, easy drive across the Golden Gate, through San Francisco, Half Moon Bay, Santa Cruz, and ending in Monterey. The ETA is approximately 3 pm, so there will be plenty of time to check in to your hotel, check in to the event, and get freshened up before the Car Show/BBQ. As this is intended as a member-only event, the exact itinerary will not be published on this public-facing web page. To request more details, send Alex Countouriotis an email at the address shown in the member directory. Alex will email all registered participants with further details closer to the event date.